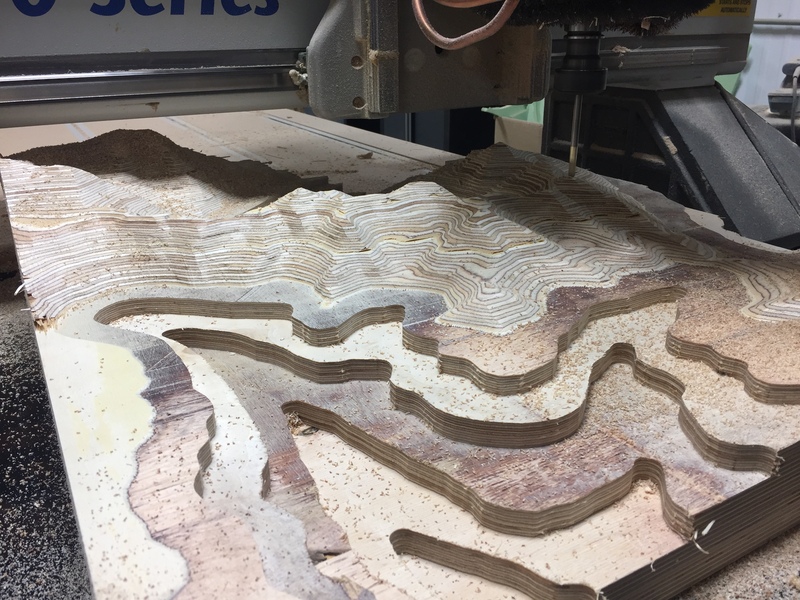 Turning Digital Terrain Data into 3D work pieces makes for some very interesting results. A recent project for Parks Canada yielded some very beautiful results. 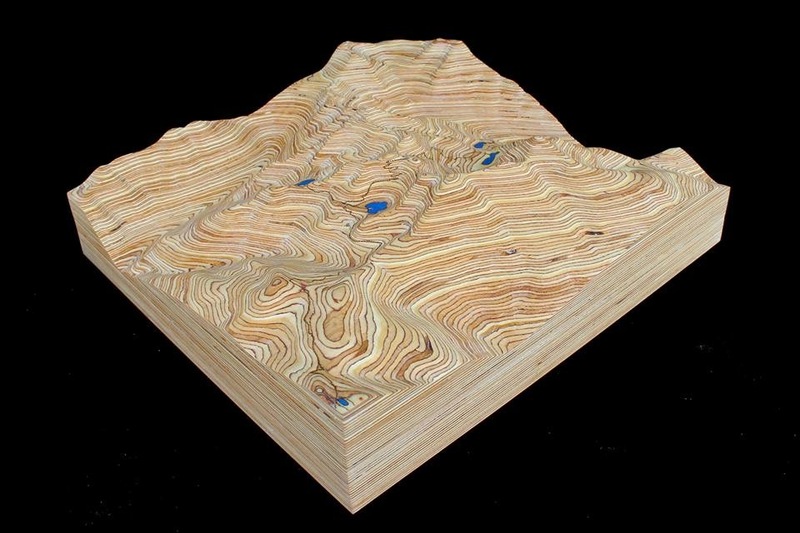 Using a portion of Mount Revelstoke National Park as the basis of the design, we created a STL file from terrain data that is publicly available. This was then turned into tool paths that the router could work with. The wood used was 3/4″ Furniture Grade Baltic Birch Plywood, laminated into 7.5″ thick by 24″ square block. I added a vertical distortion of approximately 20% to enhance the look of the mountains over the large area that this piece was modeled after. 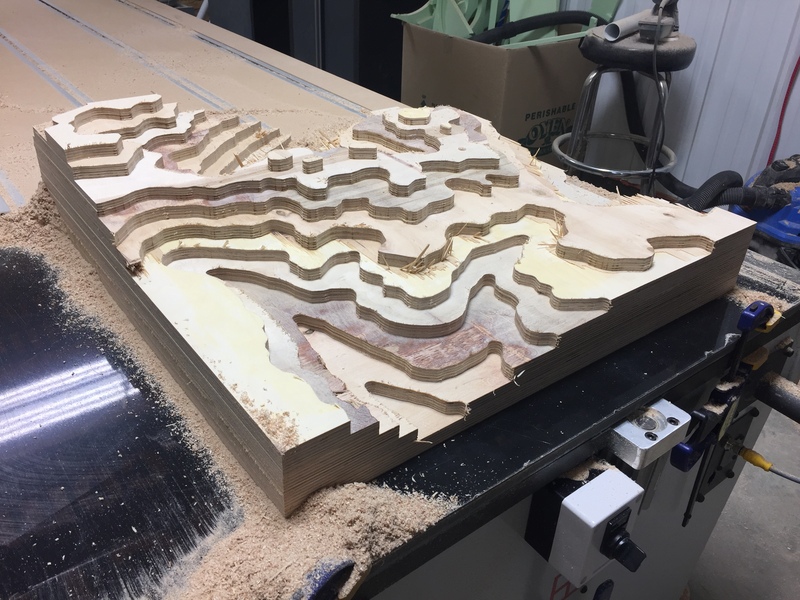 The pictures don’t really do justice to the work, its hard to keep your fingers off it, following the contours and peaks. 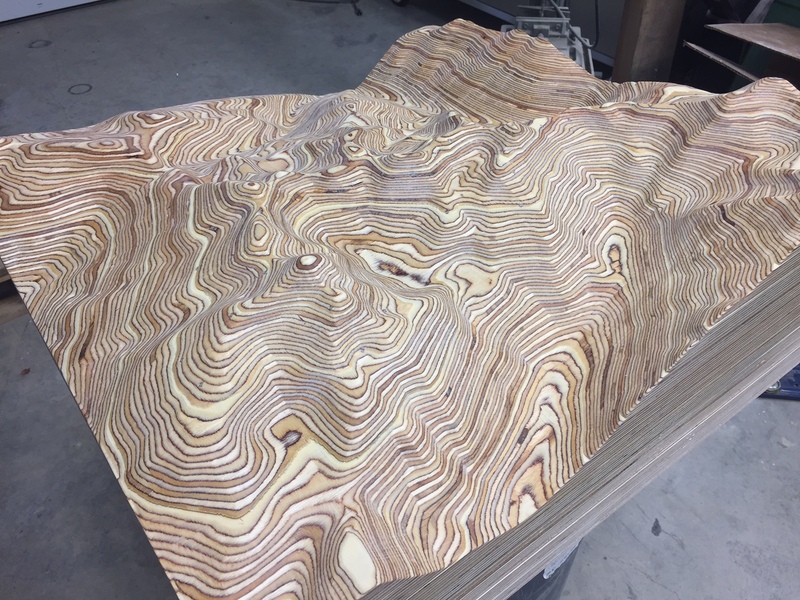 After finish sanding, OSMO oil is applied to bring out the interesting topographical effect that the plywood laminations produce. 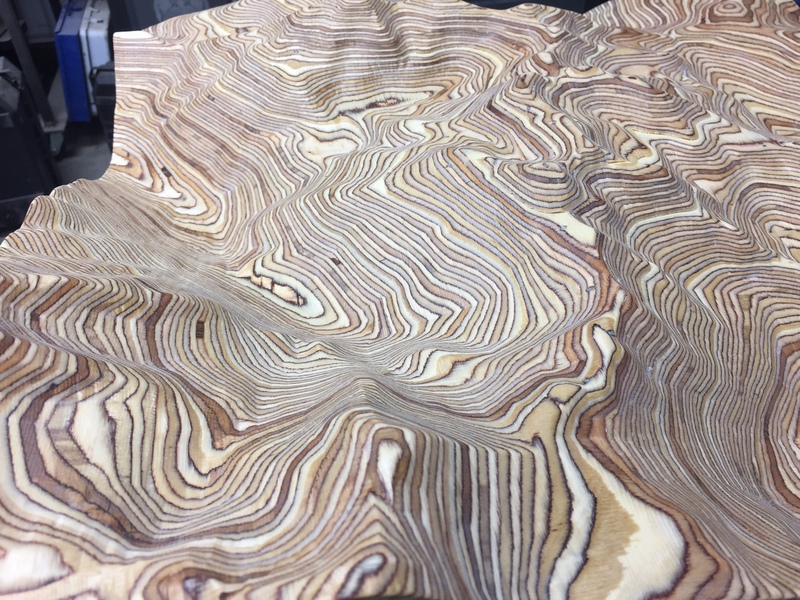 First finishing pass after rough cut, you can see the finished product taking shape. Looking down the valley into a glacial fed lake, pretty nice scenery.